Replacing and repairing the parts is not easy. (see picture for detail). A Top Quality. Top Quality. Color: White. Loud Speaker Internal Sound Speaker Buzzer. iPad 2nd Gen. Compatible : For iPad 2nd Generation. MUST READ! it may result in void of warranty. We will try our best to satisfy you! Altec Lansing, LLC is headquartered in Milford, Pennsylvania. 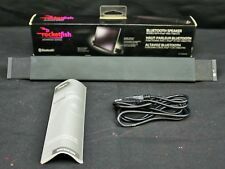 this works with old ipads only this will work with ipads that has big power jack. it will not work with ipad air. Stand/speaker dock. Ipad Generations 1-3. IPad 2 2nd Gen A1395 A1396 A1397. Loud Speaker Buzzer Sound Flex Cable. What you get : 1 x iPad 2 Loud Speaker. MUST READ! it may result in void of warranty. We will try our best to satisfy you! We are PROFESSIONAL dealers in cell phone spare parts, you can be assured your buying from a trusted source. Speaker Connection Plates. If you speaker has stopped working or is making a terrible noise this may fix the problem. You can not install it with out them and expect a quality sound to be achieved. Compatibility: iPad 2 (All Versions). Ipad Generations 1-3. Flexible Holding Strap. Charging System. We will take care of any problems that may arise. Iphone 3,4, and 4s. THE EMC2415 and EMC2560. Make sure you are ordering the correct part. Any stickers/residue on the back can be removed. See pictures for details. Needs a motherboard, LCD and digitizer. Compatibility iPad 2nd A1395 A1396 A1397. Local pickup is not allowed. Any stickers/residue on the back can be removed. See pictures for details. Item in excellent working condition. Needs a motherboard, LCD and digitizer. 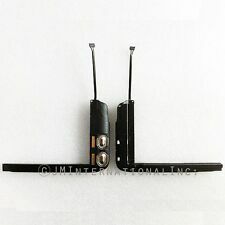 1X Loud Speaker Buzzer Ringer Flex Cable. Compatible: For iPad 2. To fix broken, old, not-working flex with a new one. We are committed to resolve all issues in a friendly and satisfactory manner. 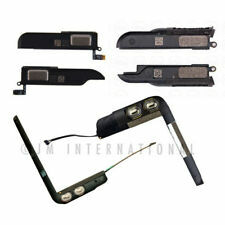 2X Original Speaker Microphone Flex cable for Apple iPad 2nd Gen Tested, 100 % working. Type: Loud Speaker. Compatible Model: For Apple iPad 2. This is an GENUINE APPLE speaker for an iPad 2 16gb. Any stickers/residue on the back can be removed. See pictures for details. The is in working condition. Just add motherboard, LCD and digitizer. Speaker for Apple iPad 2. 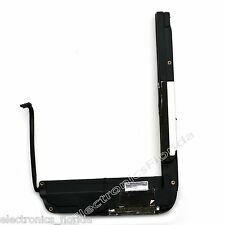 Speaker for Apple iPad 2Compatible Models:A1395A1396A1397. Loud speaker does not work. 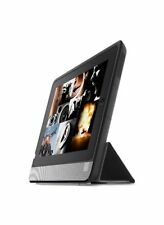 This item is compatible with both the 3G and the WiFi Versions of the iPad including Sprint, AT&T, and Verizon. Microphone Boards and Cables. 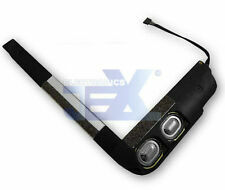 The Apple iPad 2 Tablet Internal Speaker has been graded A. This item is 100% functional, and in very good condition. Cell Phone Batteries. Card Readers. Ethernet Ports Phone Jacks. Original Sound Speaker with WiFi cable. 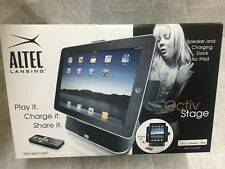 for Apple iPad 2 Gen. Tested, 100% Working. Any stickers/residue on the back can be removed. PadDock 10 for iPad 2 from Interlink Electronics By SMK-Link lets you rotate the screen 360 degrees for the best viewing position. There’s a switch that lets you choose charging without synching. And the stand tilts up and down 30 degrees for the optimal angle. Any stickers/residue on the back can be removed. See pictures for details. Item in excellent working condition. Needs a motherboard, LCD and digitizer. IF THERE ARE ANY PROBLEMS, IT WILL BE NOTED IN MARKER ON THE PICTURE. This is brand new Apple iPad 2nd Gen A1395, A1396, and A1397 Speaker Assembly. This unit has been thoroughly inspected and tested by our in-house, factory-trained technicians. As a result of the technicians' professional handling and care, the unit has been returned to factory specifications. You can expect a fully-functional unit. .
LOOK AT THE PICTURE FOR THE CONDITION. Everything you see is 100% functional. Any stickers/residue on the back can be removed.